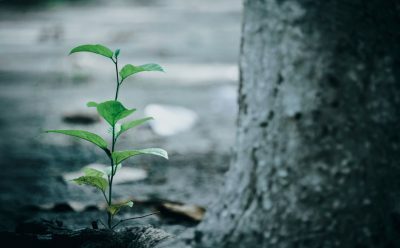 At Apex Environmental we spend a lot of our time dealing with tree problems, but on the flipside, trees can be a wonderful asset to a garden. For example, they can add colour and interest to a garden, create a beautiful focal point, or act as a haven for birds and other wildlife. They are also useful for helping to detract from an undesirable feature, or create a screen. Tree-related issues are often more to do with where they are situated rather than to do with the tree themselves, and problems can often be avoided if care is taken to choose the right species and location when a tree is first planted. One of the first things to ask yourself is what you want to achieve. Do you want your tree merely to look attractive, or are you choosing it for other reasons? Native trees, such as oak and silver birch, are particularly good at supporting many different species of wildlife. For instance, ecological surveys have shown that the oak supports 284 species of UK insect! Smaller native trees include the holly, hazel and mountain ash (or rowan). 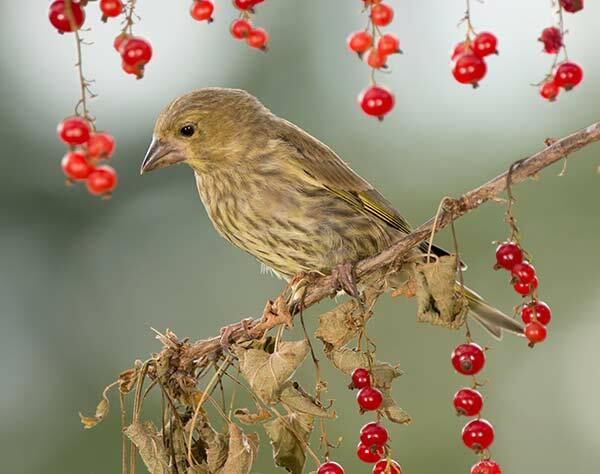 Birds are particularly drawn to trees that produce berries and fruit, such as cherry, crab apple and blackthorn. 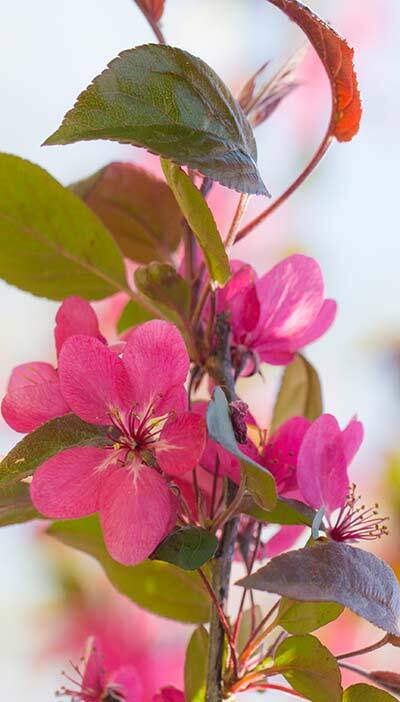 If you are seeking an attractive array of blossom, species of crab apple, cherry, magnolia and hawthorn are popular choices. However, there are a whole host of trees that produce striking foliage. 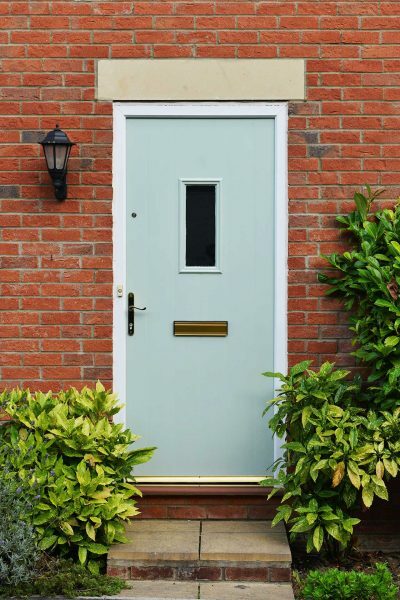 You might want to think about what colour ‘palette’ you would like, as foliage shades can range from warm, sunny yellows and vibrant reds to cool greys and silvers. 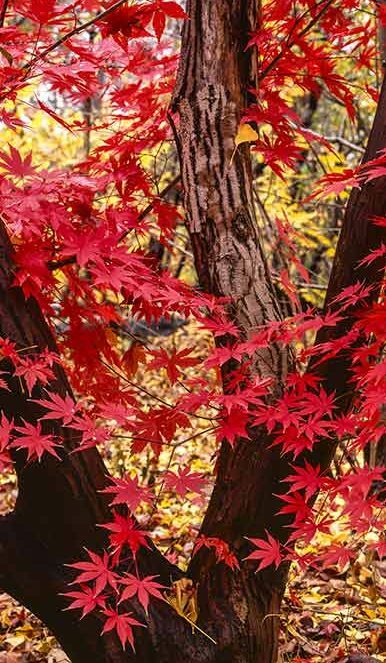 Some trees, like the Japanese acer and liquidambar, are fabulous for autumn colour. Others, such as some species of maple and horse chestnut, produce wonderful pink blossom in spring. To achieve all-year-round colour, go for evergreen trees like cedar, fir, cypress or photinia. Traditional Japanese Gardens are known for their design and overall aesthetic that embodies Japanese culture with a focus on philosophical ideals and showcase nature and seasonality. If you would like to add another dimension to the visual interest of your trees, you might want to bear in mind species that have distinctive bark. This includes species such as ornamental pear, Paul’s Scarlet hawthorn, the paper bark birch or cherry, or the snakebark maple. Sam Nolan from Wheelie Bin Storage Direct, says: “Trees serve many purposes but my favourite is for added garden privacy. If you chose the right one you can get something that adds a privacy screen, attracts wildlife and looks good aesthetically. “My pick is the Pyrus calleryana ‘Chanticleer’. It’s a pear-shaped tree with an upright habitat that means that it won’t dominate a small garden the way a large sprawling tree would so it can be positioned in a lot of places. Are you keen to begin a jam-making empire, or do you have a fondness for foraging? Trees that are popular for their produce include the Malus Cox’s Orange Pippin for eating apples and the Prunus domestica Victoria for plums. You can also get delicious fruit from pear, fig and medlar trees. If you want a nut-bearing tree, consider an almond or walnut, or hazel varieties for hazel nuts, filberts and cobnuts. 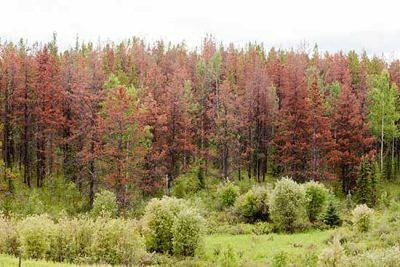 Your choice of tree will depend on what kind of screening you need. Some trees, such as beech and hornbeam, can be planted together to form a hedge. If you are looking for trees that will line a fence or wall, you might want to think about a ‘stilted’ hedge. This type of screening is provided by trees with a long stem that reaches fence panel height, with the canopy sitting just above. An evergreen such as a privet is a good choice here. If you are looking for something to block out an eyesore, a strategically-placed evergreen with good coverage will do the job. Don’t forget to bear in mind the size that a mature tree like this might reach though and the implications this might have on its surroundings. Water features can add that zest to a garden, just make sure you have your plumbing in order – else you may have an unwanted moat! 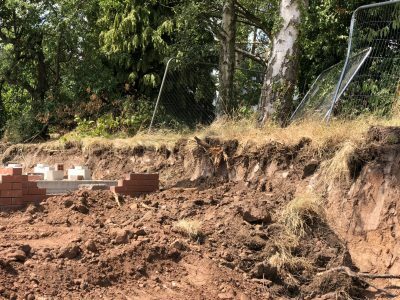 Finally, a word of warning about using trees for create a screen: if you think that the planting might impact on a neighbouring property, it’s probably a good idea to discuss it with the owners first. When considering where to site your tree, you should ensure that it won’t go on to cause damage or nuisance by encroaching on other parts of your property, that of your neighbours, or on other nearby buildings. Don’t forget that trees can block out an enormous amount of light. 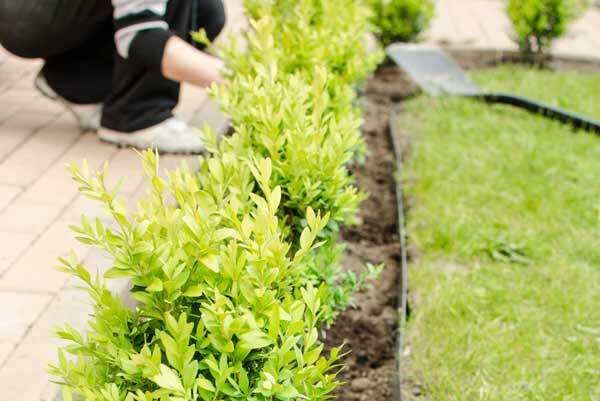 Of course, to become a master in shade gardening is something you may want to achieve – but as a general rule, people desire as much light in their garden and nearby property as possible. Don’t underestimate the volume of leaves, pollen, sap and bird-droppings from nesting birds that a tree can create. If you are planning to park your car underneath it, you might want to reconsider! What kind of soil do I have? Some trees prefer a particular kind of soil, so it is definitely worth familiarising yourself with what you have. 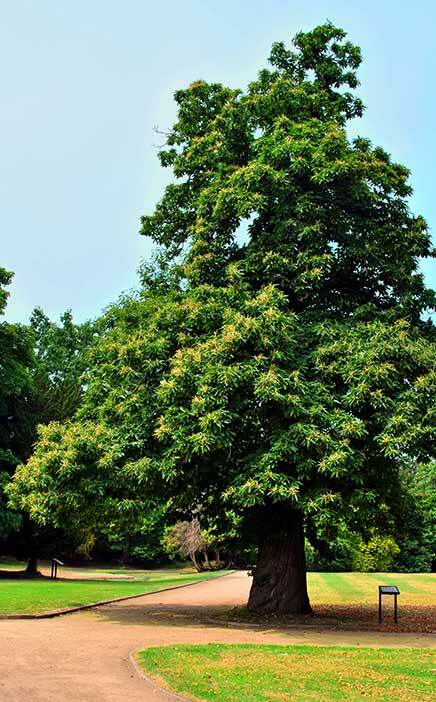 Magnolias like a clay soil, for example, whilst sweet chestnuts favour dry, acidic soil. How shady is the area? There are a few trees, such as laurel, that can survive in a shady spot, but most trees enjoy an abundance of light. Is the area exposed? Some trees are better at coping with wild weather than others. Beech trees and some varieties of mountain ash (rowan) trees, for example, are hardy in this respect. Still confused about what tree to opt for or need some additional advice? Contact us here – we are more than happy to help! Get in touch with Apex Environmental Limited today to find out how we can help you with your aboricultural requirements.